"Camp Cove is a good macro dive and sea horses can be sometimes found"
Michael McFadyen's Scuba Diving - IJN Irako The Imperial Japanese Navy ship Irako was planned under the Third 1937 Supplementary Program. The IJN Irako was a "large fleet refrigerated supply ship" but, as I will mention later, she may have been used for other purposes. The hull of the new ship was laid down May 1940 at the Kawasaki Shipyards at Kobe, Japan. The ship was launched on 14 February 1941 and completed 5 December 1941. The ship was quite large, 9723 tons, 143.5 metres waterline, 146.9 metres overall and 19 metres wide. The engines were two steam powered geared turbines (8300 shp) driving twin props. The steam came from from 6 Kampon boilers (I am not sure if it was coal powered but I would suspect it was oil fuelled due to when it was built) and provided a maximum speed of 17.5 knots. Note the long construction time. The Americans and British were building similar ships in a total time of less than nine months or so during the war although this ship was 99.9% built before the war started. The IJN Irako was one of three planned to be buil under this program but the other two were not built and finally cancelled after the Battle of Midway due to the Japanese losses of warships and the need for carriers and submarines. The ship was armed with four 127 mm 40-calibre guns (two guns each of two barrels, one each at the stern and bow). There were also 13 x 25 mm anti-aircraft (AA) guns and depth charges. Forward there was a mast and the rear had a kingpost. There were four additional cranes. I do not know much about the early life of the IJN Irako. In late September 1944, some Japanese ships, including a convoy of 12 Japanese ships, took refuge in the Busuanga Island area of the Northern Palawan group of the Philippines. Eight of the ships were anchored in Coron Bay, the rest to the west and at least one on the northern side of Busuanga Island. Late on the afternoon of 23 September 1944, Fast Carrier Task Force (TF) 38 under the command of Vice Admiral "Bull" Halsey positioned itself for an attack on the ships in the Coron area. At 5.50 am on 24 September 1944, 180 Grumman F6F Hellcat and Grumman SB2C Helldiver planes lifted off the American and headed off on the 350 kilometre flight for the waters of Coron Bay. This was to be the longest carrier based (and return) attack ever carried out. At 9 am the planes reached Coron and located at least 18 large Japanese vessels and started their attack. The planes attacked the ships in Coron Bay and the ships to the west first. After a frenzied 45 minute attack the planes left, leaving behind numerous sunken ships. It is reported the IJN Irakowas beached after suffering severe damage from Task Force 38's aircraft. Today 14 of these wrecks have been located and most can be dived from Coron. See my Coron Page for more information. 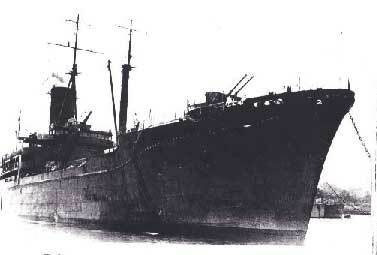 I have not dived the wreck of the IJN Irako but reports to me indicate that it is a very good dive. I was also been told by Noel Hitchins before he died (former owner of South West Rocks Dive Centre) that the ship appears to have been used for more than a simple refrigerated supply ship. He told me that there are some brackets or stands welded on one part of the deck that appear very strange. His thoughts are that these may have been used to hold Kaiten suicide submarine/torpedos. I am presently investigating this with other expert sources.